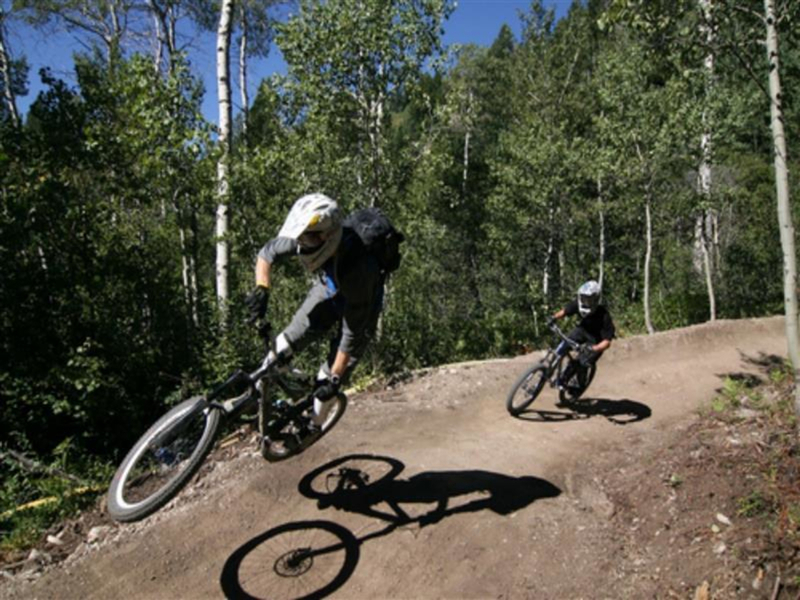 Jackson Hole Mountain Resort has created the best mountain bike park in the Tetons, featuring plenty of diverse trails, fun downhills, and ski lift rides to the top. "On most of the beginner trails, you hardly need to pedal or brake, you just flow," says Ranyon D'Arge, the supervisor at Jackson Hole Mountain Resort's downhill bike park. Trails here--and there are only six--are rated similarly to ski runs: green for beginners, blue for intermediate, and black for advanced/expert. While the jumps and features on each trail are different, all trails have great stuff in common: they're buff, bermed, and just generally beautiful. You won't be bunny hopping rocks. You will have to keep your eyes open for wildlife. Shortly after the park opened, a rider came around a corner and collided with a black bear. Moose also live in the aspens the park's trails wind through. The Lucky Charm trail includes a 377-foot long wooden bike bridge. Plenty of shops out in Teton Village rent downhill bikes as well as protective gear. It's a good park for intermediate to expert riders, especially those who like to ride fast. 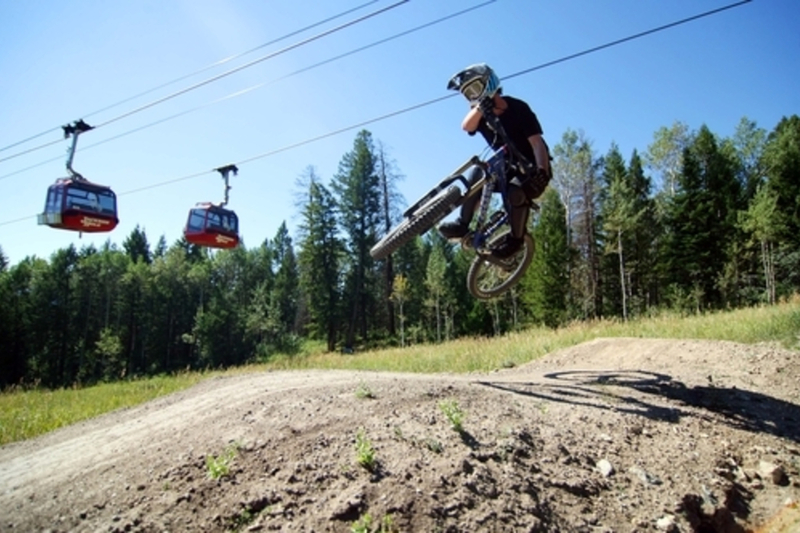 The bike park is accessed via the Teewinot high-speed quad. Each ride is about 300-vertical feet.